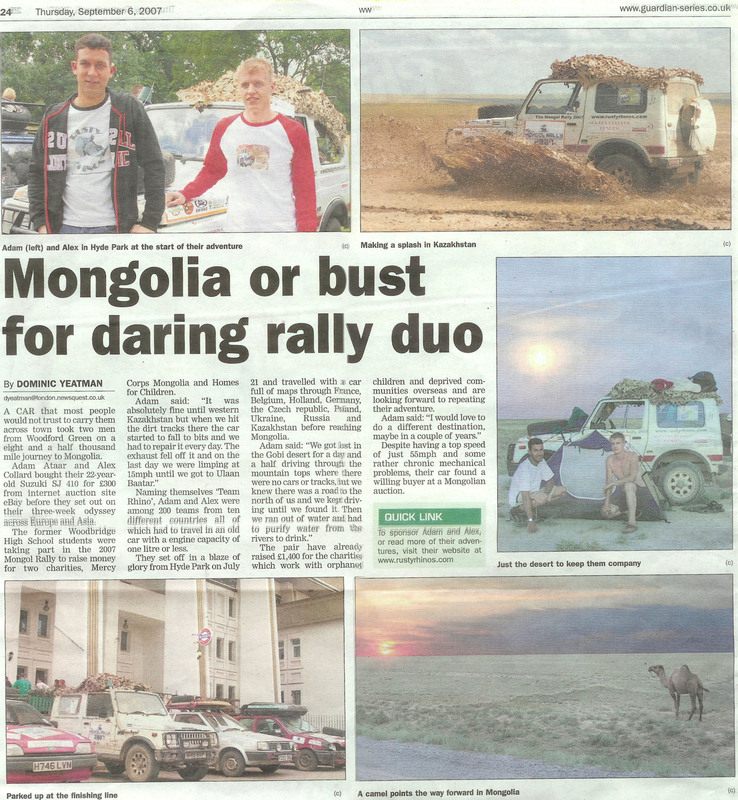 The Mongol Rally has been fairly well covered by the press this year. Do a search on the web and you should find plenty of articles, photos and other information. 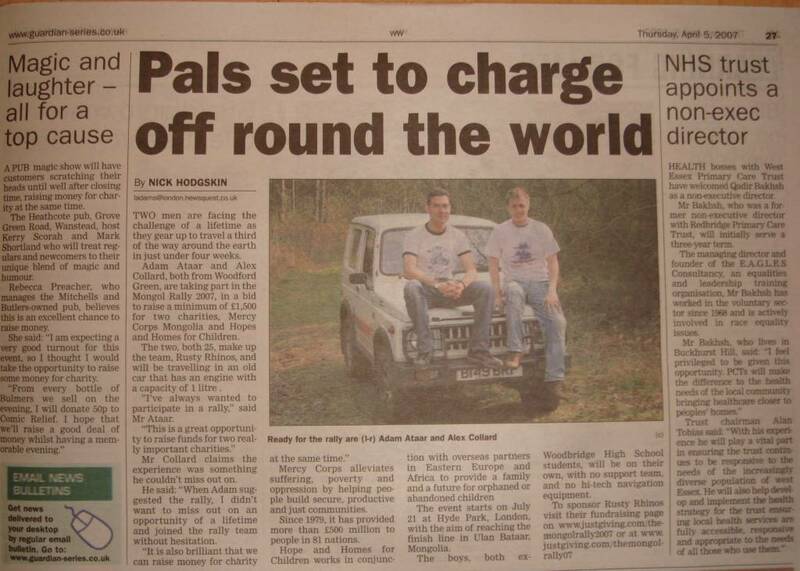 Below is a list of articles published about the Rusty Rhinos.